Camera cars have come a long way since someone literally hung onto the hood of a sports car to get the perfect shot. 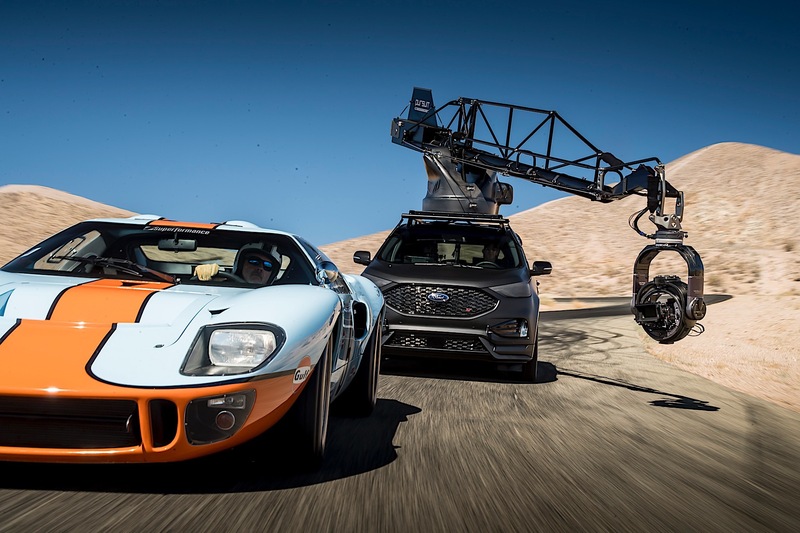 Heavy and expensive equipment needs to be carried around at high speeds, which makes performance SUVs the choice of many production companies. 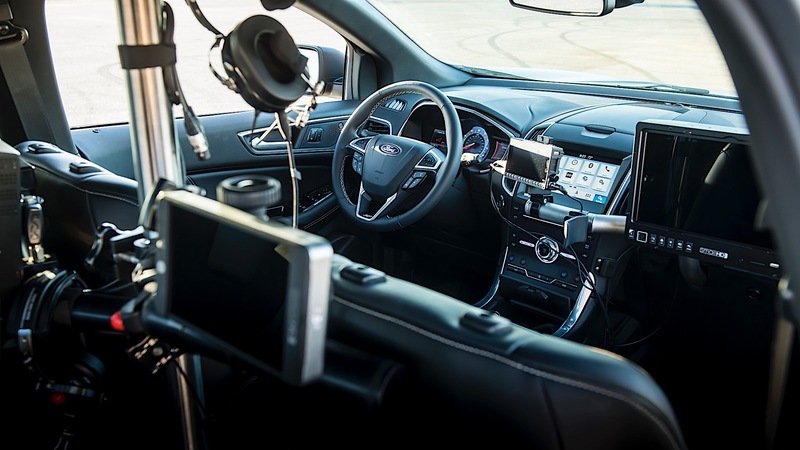 The Ford Edge ST, the company's first Ford Performance utility, has been tapped for the role with Pursuit Systems. 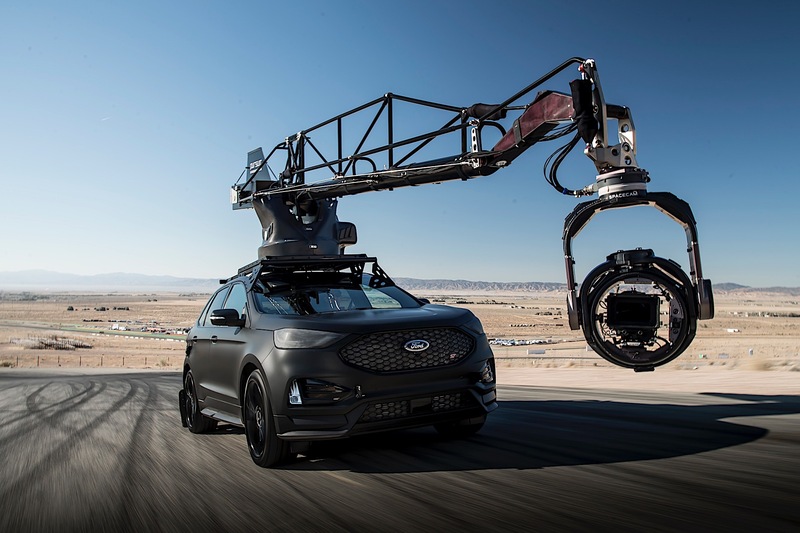 Working with Ford, Pursuit Systems modified a new 2019 Ford Edge ST to become the ideal camera car. What makes it ideal? The cars need to be quick. Pursuit Systems needs vehicles that can go over 100 mph and the Edge ST gets up to 130 mph, makes 335 horsepower with 380 pound-feet of torque. It also has high performance brakes, which are important for slowing down the vehicle with a 1,000-pound mounted crane attached to the roof. In addition to the massive crane, the vehicles they use need to be able to carry people and additional gear. That's why the Pursuit Systems team flew to Dearborn during the Edge ST's development to help ensure it was the right vehicle for them. "Speed, acceleration, braking, handling, even roominess – Edge ST has it all,” said Mike Johnson, racer, stunt driver and Pursuit Systems president and CEO. Structural support was added to the roof for the the crane, which makes sense given its weight. Additionally, the 2.7-liter EcoBoost needed was re-tuned to counter the weight of the crane and camera equipment. Air suspension was added to each individual wheel, so the vehicle could remain level even when the crane's arm was fully extended. 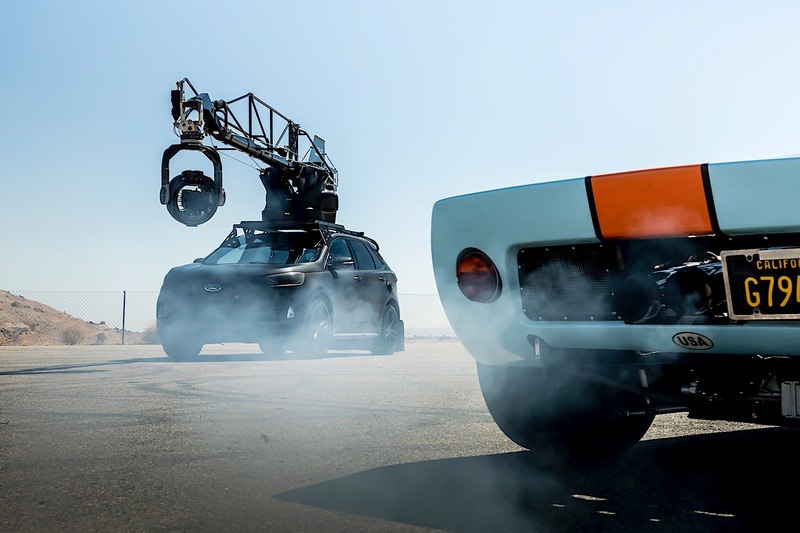 Additional modifications include a roll cage to protect occupants, a gutted interior for more room for people and things, wiring for video monitors so crew on board can see the video in real time and wrapping the whole thing in matte black so it doesn't reflect against the scene the crew is shooting. The changes are no small feats considering what the camera equipment does to the vehicle's center of gravity. The handling is surely unique, to say the least. The car will see real work once added to Pursuit Systems' fleet of vehicles. It joins a modified BMW X5 M, a Porsche Cayenne Turbo and a Mercedes-Benz ML63 AMG.